It’s been in the 80s for the last few days and according to the forecast that’s going to hold for the rest of the week, too. Some days are even supposed to peek into the 90s. But because this is Louisville, I know that we could wake up tomorrow and it’s 20 degrees out, so I wanted us to get out and have some fun in case the weatherman was wrong. 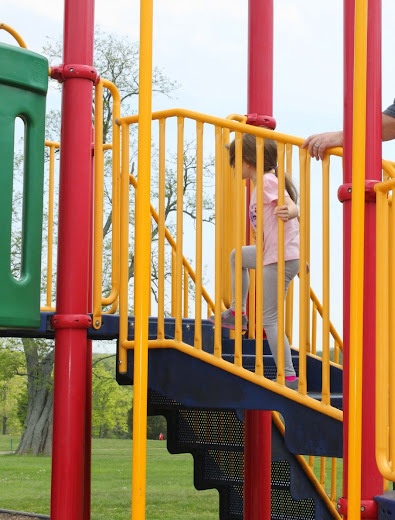 We had plans to go to a local park, but when we saw they were hosting a reunion there we decided to venture out a little further to a different one. Bubbles loved the change in plans because it felt like an adventure, going somewhere we hadn’t been before. And when her eyes lit on the huge play center in the middle of the park she was so excited. 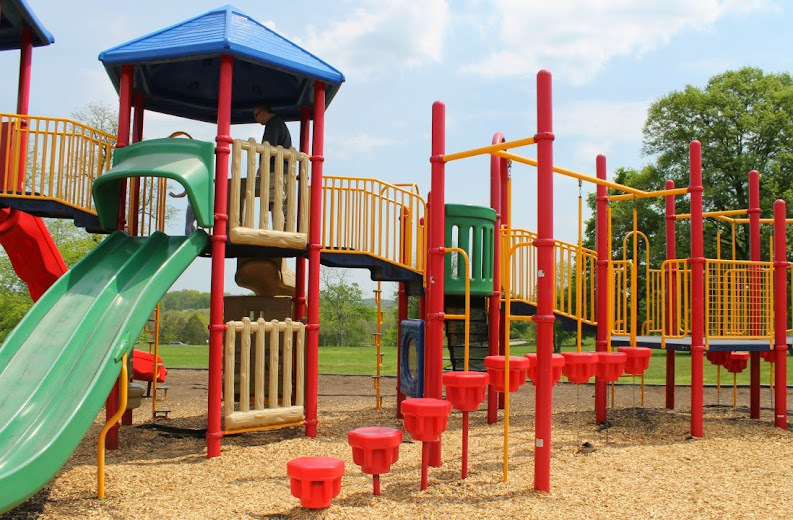 The play center is absolutely one I would have loved to have had access to as a kid. The design is just really neat, with lots of bridges and slides and this cool wobble post bridge thing (so very technical, aren’t I?). It had so many things to do it took her a moment to decide where to start, but before it was over she had tried nearly everything. We were all starting to look a little sweaty after awhile (yes, even Mama and Daddy did a little climbing) so we took a little break to refresh and recharge. 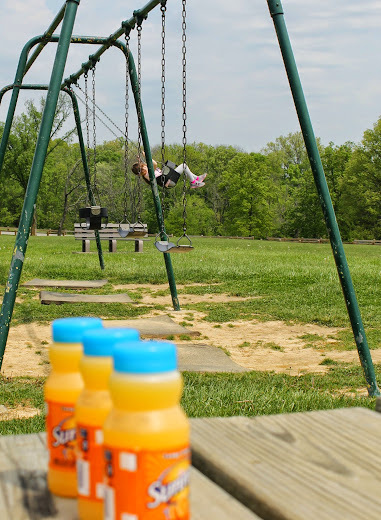 It was nice to sit around and sip SunnyD and talk a little with the other families that had stopped in. Bubbles couldn’t sit still for too long, though, and it was off to the swings and then kite flying. After she was finally too tired and hot to want to play anymore we headed home (with a small detour for ice cream). Thinking about all those May flowers I mentioned earlier, I thought it would be fun to reuse the bottles from our adventure. 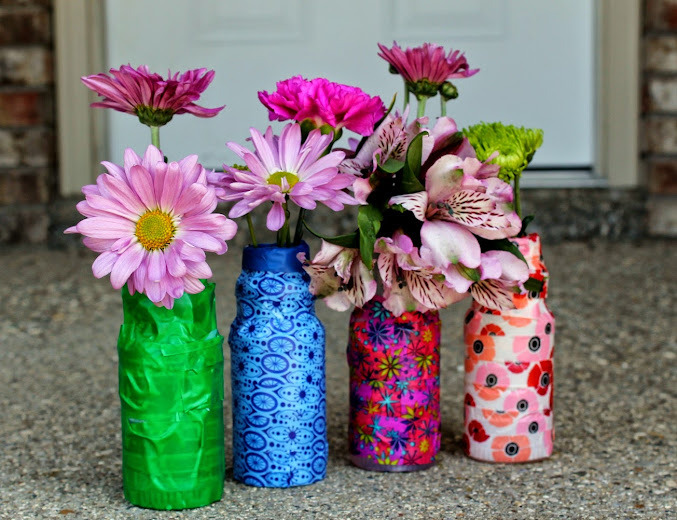 I dug through my craft supplies until I decided we’d make simple washi tape vases. What I love about washi tape crafts is how simple they can be. I really let Bubbles have free reign on this, and basically just handed her the bottles and rolls of washi tape and said “go for it”. 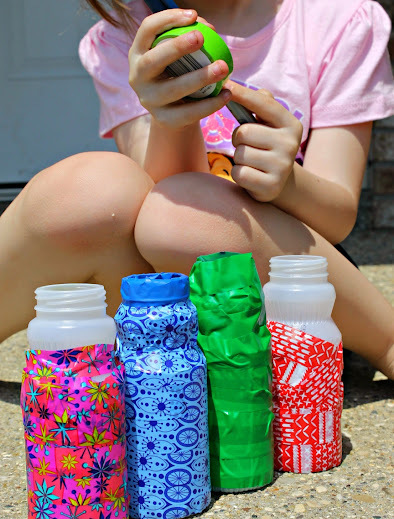 Kids can simply wrap the washi tape around the empty bottles in whatever method they choose, and can add a few extra embellishments using markers if they want (Bubbles colored the bottom of each vase to give them a little more color). 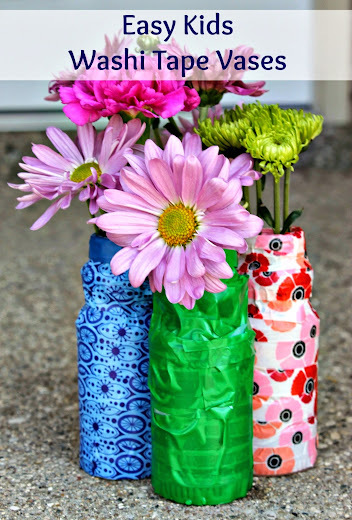 Once I saw how much fun she was having, I decided to make a couple of washi tape vases, myself. It was so easy that the vases are definitely one of the washi tape crafts I’ll be making again soon. Once we were done with the vases, I let her fill them with some flowers she had picked out from the store on the way home from the park. 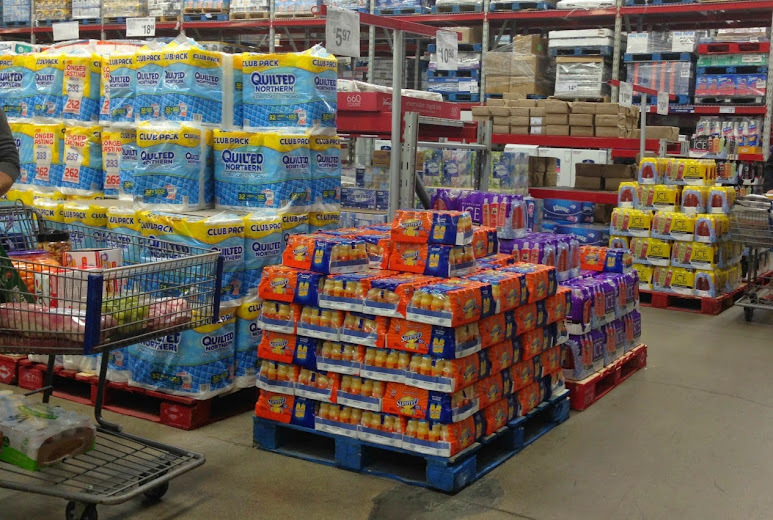 SunnyD multipacks are on Rollback at Sam’s Club for $5.38. You should be able to find them on an end cap next to the refrigerated products. 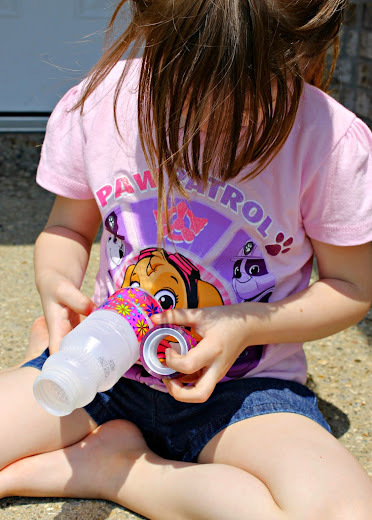 For more ideas on how to upcycle or reuse SunnyD bottles or for SunnyD recipes visit WhereFunBegins.net. 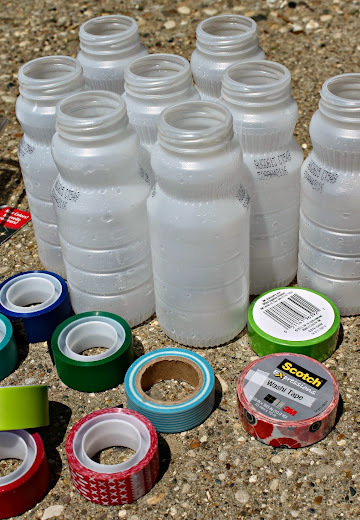 What other washi tape crafts would you make with upcycled bottles? I’m a fan of simple, too, Janet! I’ll bet he could think of all kinds of things to wrap in washi tape. This is a great craft for kids! You can really get creative with the different pretty Washi tapes. I LOVE homemade gifts the best! 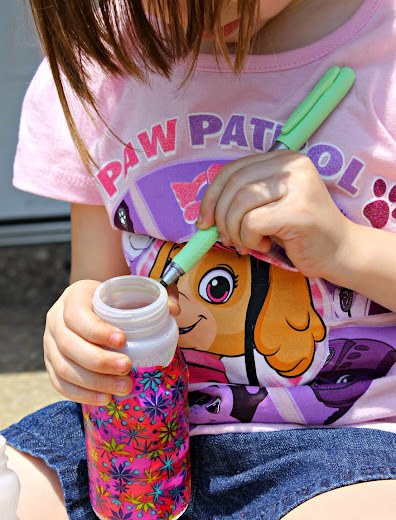 I love easy crafts, not just for kids but for me too! Washi tape is fun and easy to work with. You know, I never really “got” the whole washi tape thing before, but now I want to washi tape everything in our house! Love it. Washi tape is so much fun, these look adorable! I’ve heard so much about washi tape but Ive never used it. I’m definitely going to pick up some to try this, thanks! This was our first time, too, Ty – but definitely not our last. It’s easy to use and really “forgiving” too, if you need to move it around or mold it to something. 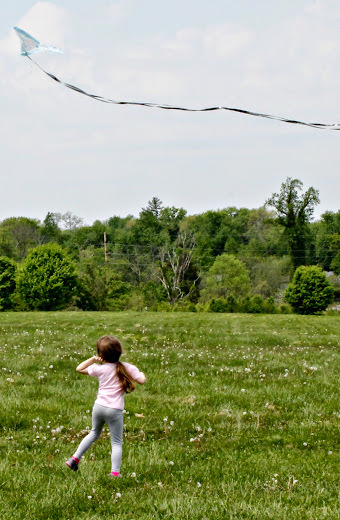 Park days are so much fun, haven’t done the kite things for a while. A crafty craft is always great to finish of a day of fun. This is a truly super idea, a great way to use empty jars, and they come out so cute!! !